Under the initiative, the government has declared each tehsil in the state as a unit where planning will be done for agri-development. The district agricultural department is asked to coordinate with farmers and their societies about the target of production. 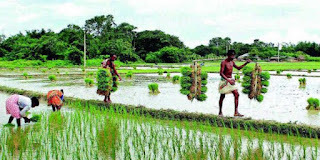 They will plan for the crop according to the soil, water conservation, loans being distributed in tehsils, etc. The programme known as 457 visa allows businesses to employ foreign workers for a period of up to four years in skilled jobs where there is a shortage of Australian workers. Australian workers must have priority for Australian jobs, so we are abolishing the 457 visa, the visa that brings temporary foreign workers into our country. 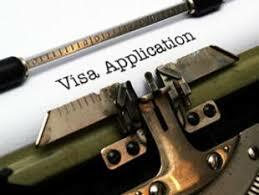 The new visa will include mandatory criminal checks and tighter English language requirements. The new “Temporary Skill Shortage Visa” programme will comprise two streams—Short Term and Medium Term—and will be underpinned by more focused occupation lists that are responsive to genuine skill needs and regional variations across Australia. The portal is a one-stop for States' Higher Education Plans, decision of the States' Higher Education Councils and details of the resources under this scheme. 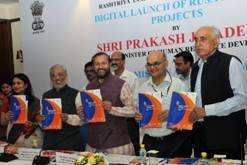 Also, the gallery is a rich repository of the projects initiated under RUSA. RUSA is the Centrally Sponsored Scheme (CSS) of the Department of Higher Education, MHRD which aims to provide strategic central funding to State Higher Education Departments and Institutions and achieve the broad objectives of access, equity and excellence. Prof. A.V. 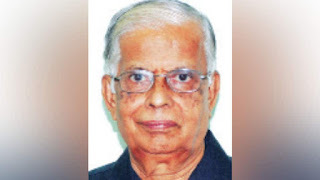 Narasimha Murthy, Chairman, Bharatiya Vidya Bhavan (BVB), Mysuru and former Head, Department of Ancient History and Archaeology, University of Mysore, has bagged the prestigious P. Gururaja Bhat Award instituted by Udupi-based Dr. Paduru Gururaja Bhat Memorial Trust. Prof. Murthy has been selected for the award in consideration of his contribution to Indian Archaeology, Ancient History and Numismatics. His name was selected by a 3-member panel of scholars constituted by the Trust. 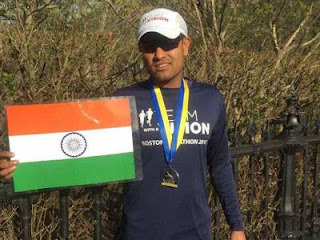 Supported by the Massachusetts Association for the Blind and Visually Impaired (MABVI), the 31-year-old Baheti travelled to the USA and became the first visually impaired Indian to participate in the famous marathon. With assistance from an old college friend, Boston-based Devika Narain Aerts, Baheti finished the 121st Boston Marathon as one of 30,000 runners on a blisteringly hot Monday. The 2017 Boston Marathon has been recorded as the second hottest in a decade. 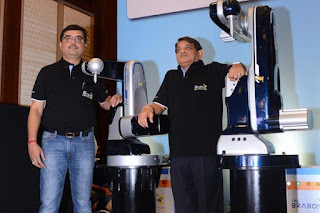 TAL Manufacturing Solutions, a wholly owned subsidiary of Tata Motors has launched India’s first industrial-articulated robot and it goes by the name “BRABO”. The robot is indigenously developed for micro, small and medium enterprises in India. The robot is available in payloads of 2 kilos and 10 kilos and is priced competitively between Rs 5 to 7 lakh. The company took three years in R&D before launching the robot and spent nearly Rs 10 crore in the process. This is the first time that an industrial robot has been conceptualised, designed and manufactured in India, the company said. 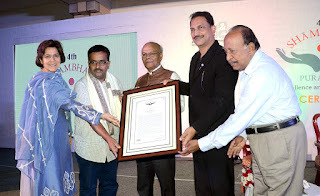 The prestigious Shambhavi Puraskar, 2017 was persented to Hari Sankar Rout for his outstanding contribution towards social change. The Shambhavi Puraskar was instituted in 2014 by Bansidhar and Ila Panda Foundation (BIPF).